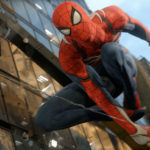 Marvel’s first family should be celebrating the recent wedding of Ben Grimm and Alicia Masters, but as it usually the case when it comes to comic books, something has gone wrong. 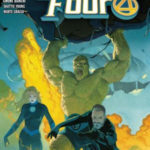 Marvel has released the latest issue of Dan Slott’s ongoing Fantastic Four series. As if the cover wasn’t enough of an indication, Doctor Doom is featured in this latest issue. In fact, I would say this comic focuses as much, if not more, on Doom than the Fantastic Four themselves. Which, as a big fan of Doom as one of Marvel’s most fascinating villains, I enjoyed quite a bit. 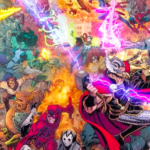 The story picks up right after the Grimm-Masters wedding, which ended with Doom alerting everyone to the presence of Galactus in his home country of Latveria. Naturally, the Fantastic Four head over there to control the issue, but Doom has other ideas. As is always the case, Doom wants to handle the issue himself and the first five pages of the comic exclusively feature his battle with the world-eating Galactus. 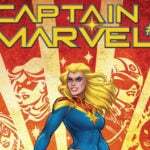 The new issue also (sort of) introduces a new character. 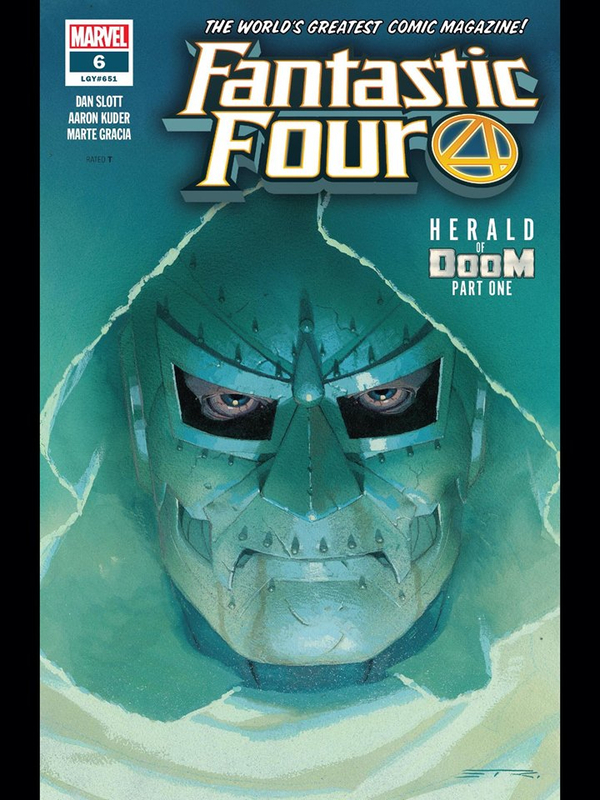 Doom’s herald Victorious clashes with the Fantastic Four for the first time, setting up what could be a very interesting character moving forward. She is formerly known as Zora Vulkovic, a Latverian rebel who convinced Doom to return from his self-inflicted exile to lead Latveria. 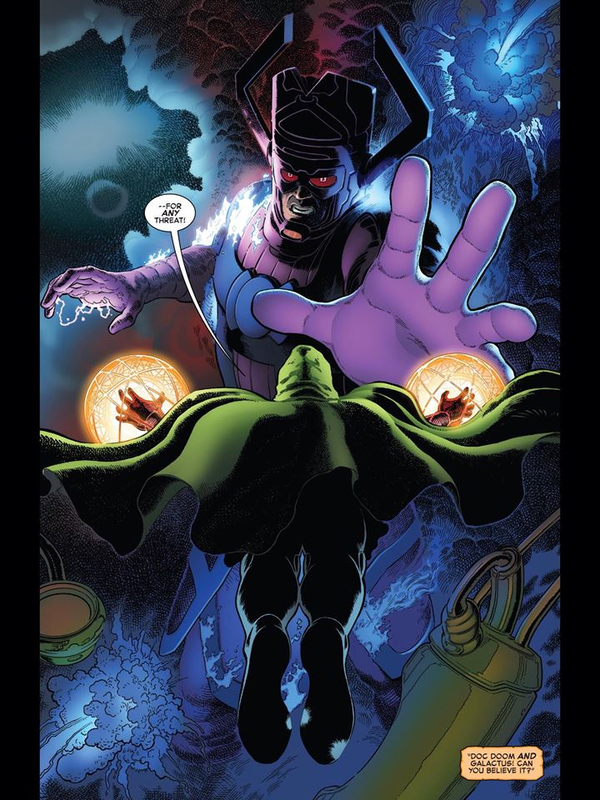 Doom has now gifted her with the power cosmic, making her a formidable foe for the team. Slott has set up a very interesting story arc here, utilizing some of Marvel’s most iconic characters while also bringing in a new one. Some of the dialogue may be a bit cheesy at times, but that’s not out of the ordinary for characters like Ben Grimm and Johnny Storm. The real star of this issue though, is the art of Aaron Kuder. Given characters like Doom and Galactus to work with, Kuder had an opportunity to create some really stunning images and he did not disappoint. The showdown between those two characters (seen two images above) is my personal favorite. Of course, this issue is just part one of the new “Herald of Doom” story arc. Naturally, it ends on a cliffhanger, leaving the Fantastic Four to face a massive threat. I, for one, am very interested to see how this story plays out and where it will leave Marvel’s first family. Fantastic Four #6 is a very strong start to this new story. If you’re a fan of the team, Doom, Galactus or just Marvel Comics in general, I would recommend checking it out.